So Dan decided to hire a scooter and whiz around the Amalfi coast again, while I decided to explore more of Sorrento. It was a nice relaxing change to be free from driving, plus it’s difficult to find a left handed scooter – or one which I could use without my right hand. 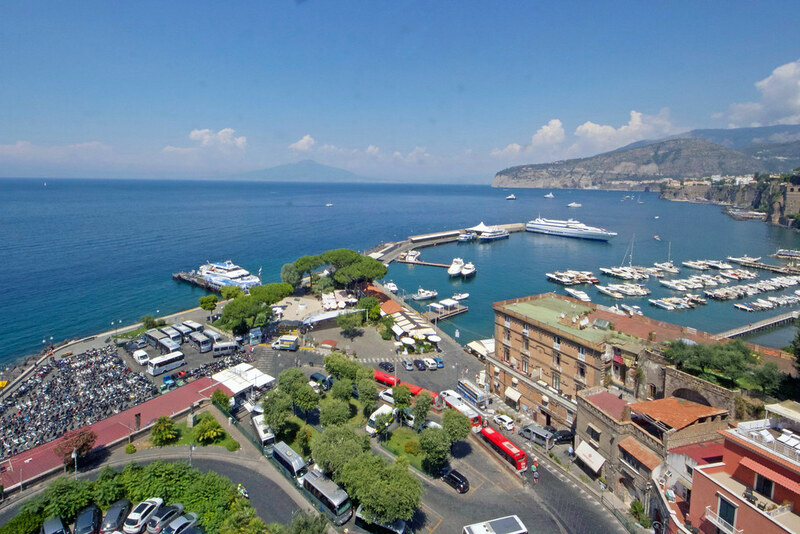 Sorrento is a really quaint location that centres on a bay. Above the marinas are cute villas and a vibrant promenade with restaurants and shops selling souvenirs to gelato. The area has become somewhat tourist friendly, with most people able to speak the most basic English. I started my day with a morning coffee and crepe before exploring the shops, later on finding a restaurant that served a delicious bowl of seafood marinara pasta and then walking to check out the coastline. Sorrento is easily accessible on foot. 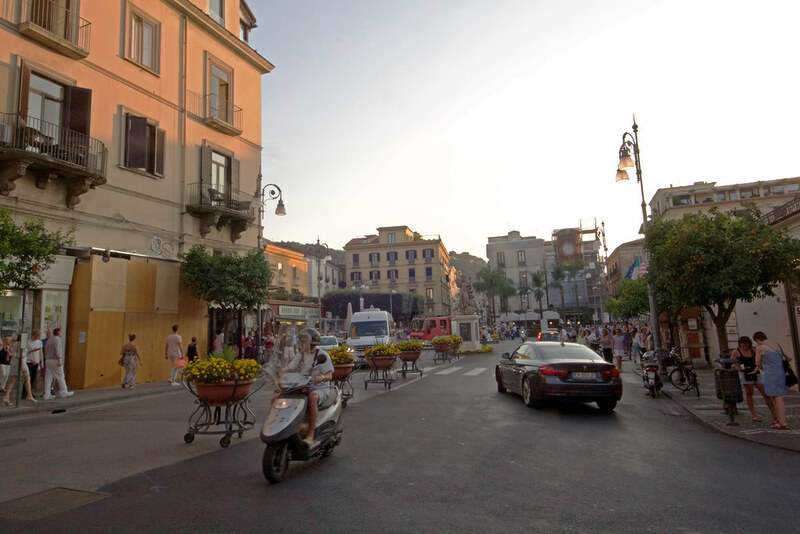 The main shopping area is one area off Corso Italia, about a block away from the train station. From there you can walk to view Marina Grande. On this particularly sunny and warm day, there were a number of people enjoying the sunshine at the local parks overlooking the water. 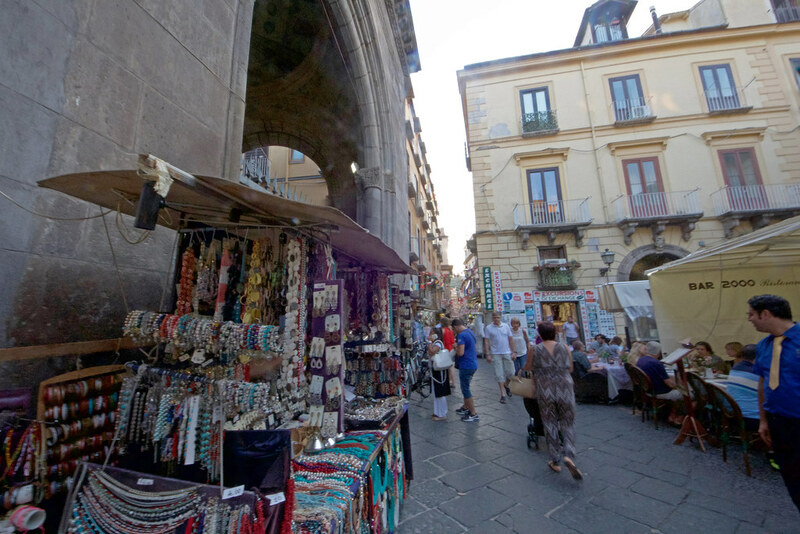 It’s not a very busy city and one that you should spend a day in, to read, have good pizza or pasta and pick up some Italian souvenirs.